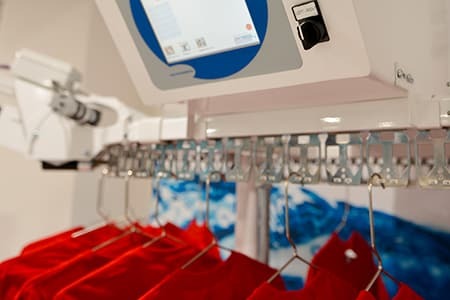 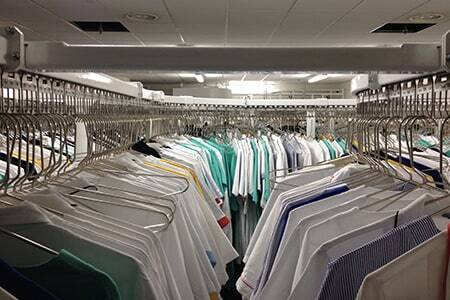 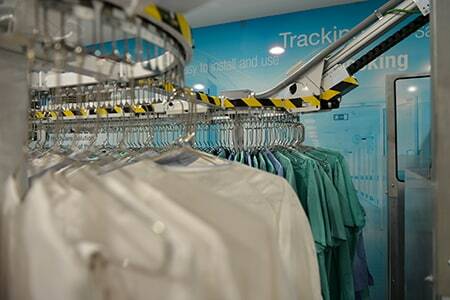 The automated laundry system that manages the entire workflow: acceptance, stocking and re-delivery of garments. 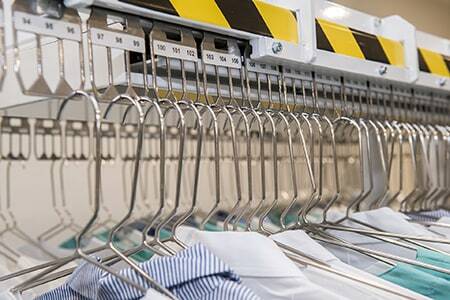 The adaptability, efficiency and ease of use of our solution optimises the operating processes of a laundry, providing a better service to end customers. 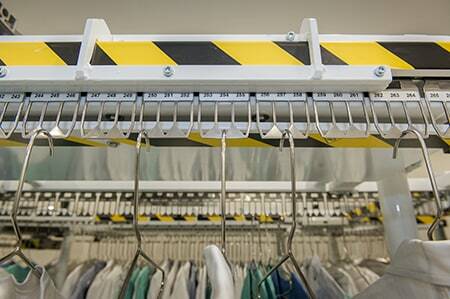 The standard version consists of a modular conveyor belt for hanging garments, a workstation with PC, printer for labels / tax receipts / tickets / barcodes and reader, specific software.